We are happy to announce that two of our team members, Dr. Zhize Wu and Dr. Zijun Wu, were awarded Youth Projects from the Provincial Natural Science Foundation of Anhui [安徽省自然科学基金]. The projects from this competitive sources will allow them to conduct research on the runtime theory of heuristics and on action fusion for large-scale videos during the next two years, respectively. Additionally to his grant from the Provincial Natural Science Foundation of Anhui, Dr. Zijun Wu also received a grant for researching Traffic Control from the Perspective of Behavoiral Guidance from Science Foundation of the Anhui Education Department. Our team congratulates Xinlu Li [李新路], who, from today (2019-02-13) on, is Dr. Xinlu Li [李新路博士]! Earlier this year, Xinlu successfully defended his PhD thesis "Energy-Efficient Swarm Intelligence based Routing Protocol for Wireless Sensor Networks" at the Technological University Dublin (TU Dublin) in Dublin, Ireland in front of Professor Liam Murphy from the University College Dublin (UCD) and Dr. Paul Doyle (TU Dublin). His work was co-supervised by Dr. Fred Mtenzi and Dr. Brian Keegan. Today his academic award has been approved by the Academic Council of TU Dublin. Congratulations, Dr. Li! In the framework of his thesis, Dr. Li conducted research on Swarm Intelligence (SI) based routing for Wireless Sensor Networks (WSNs). SI is a meta-heuristic methodology used to solve numerical optimization problems by simulating swarm behaviors found in nature. These techniques demonstrate the desirable properties of interpretability, scalability, effectiveness, and robustness. There is a similarity between bio-inspired systems and routing in networks, especially in WSNs. Dr. Li designed a SI-based routing protocol capable of being deployed on large-scale WSNs to ensure efficient energy usage and prolonging the network lifetime. Dr. Xinlu Li after his PhD defense. 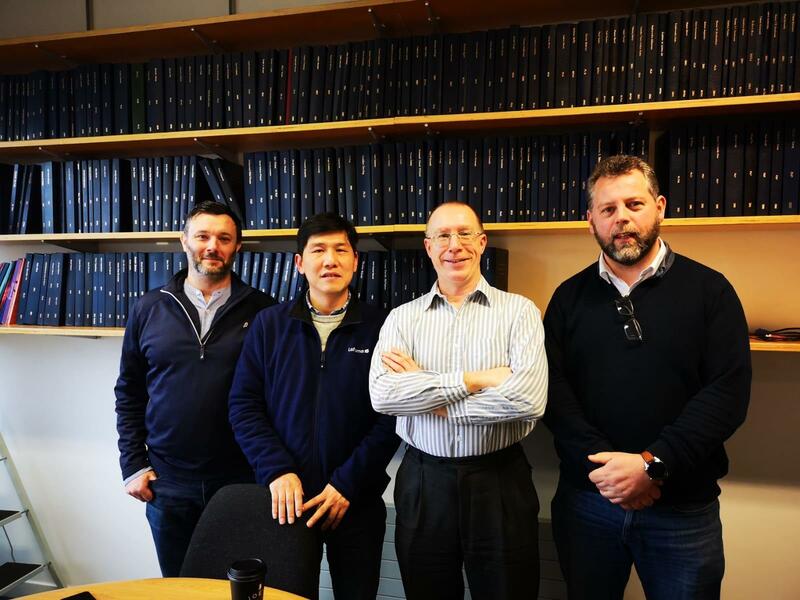 Left to right: Dr. Brian Keegan (supervisor), Dr. Xinlu Li, and the external examiners Prof. Liam Murphy (UDC) and Dr. Paul Doyle (TU Dublin).